In the course of working on a design, you might decide that some of the components can be reused elsewhere and should be converted to a master. 1. Select the components to convert. To select multiple components use Shift + click or the rubber band feature. 2. Convert the components to a master. 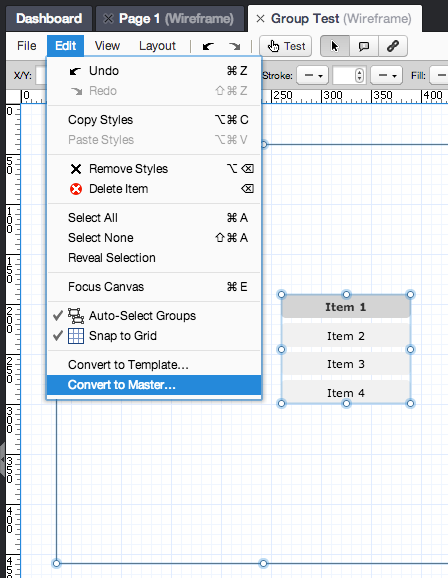 Select Convert to Master from the Edit menu or the right-click context menu. The New Master dialog opens. Specify a name and click Save. The master is automatically assigned to the design, and is included in the Library. The figure below demonstrates how to convert selected components to a master.